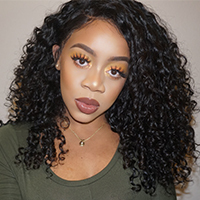 New Star has the most consummate clip in human hair extensions that use real human virgin hair, they are especially for African American and European women hair. 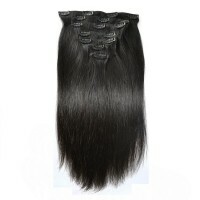 It's easy to clip those extensions to your hair and make them look like more thicker and richer. With a careful upkeep, they would be used for a long time. Clip in hair extensions are easy to be applied because there are a few combs on the extensions for you to clip in your hair. There are two colors of 613 and natural black available, in straight texture. The clip-in hair extensions are very flexible to attach in the thin section of your hair, it is the application method of hair weft. Completely invisible and very easy to remove off, absolutely no damage to your hair.